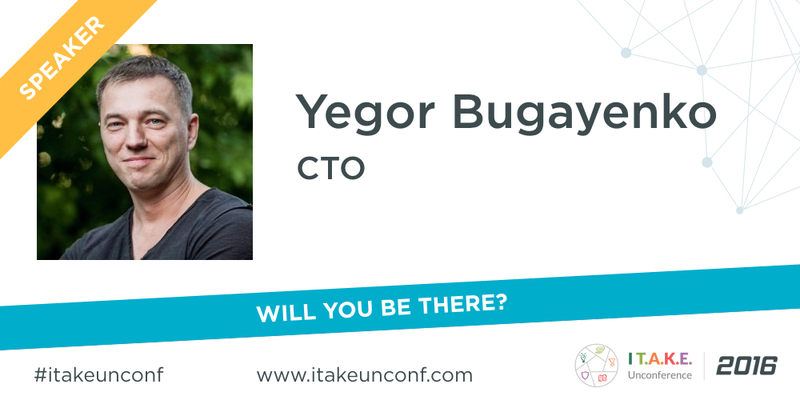 Yegor Bugayenko, CTO and co-founder Teamed.io, will share in his talk about how chat bots are a more effective way of interaction between web (micro-)services and users than traditional HTML user interfaces. Constant planning, learning, and analyzing. They will mostly find some solutions to the growing complexity of modern architectures. I will demonstrate how chat bots can become a valuable component of multi-tier architecture. By example. # 3. What else would you like to share with participants at I T.A.K.E Unconference 2016? I recently published a book about object-oriented programming, Elegant Object, focusing on practical recommendation for practitioners in this field. Want to join Yegor and many more software crafters from around Europe?